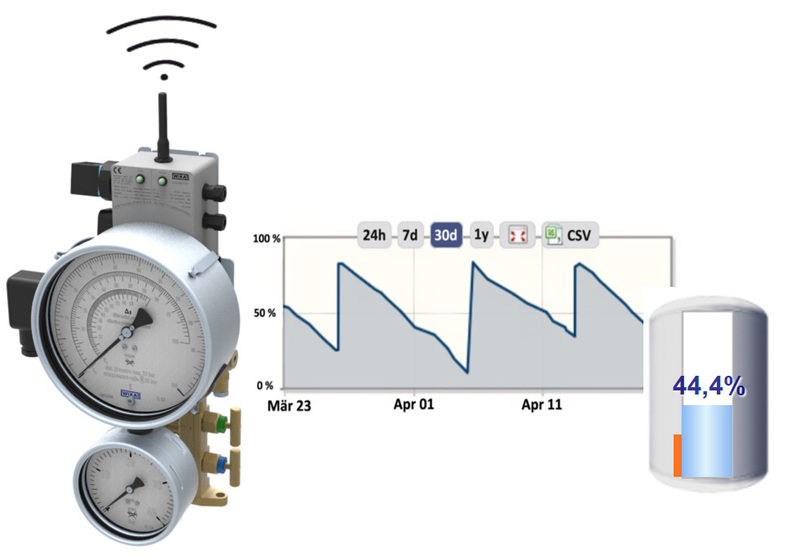 For level monitoring in cryogenic tanks, WIKA is currently the only manufacturer of a complete system. 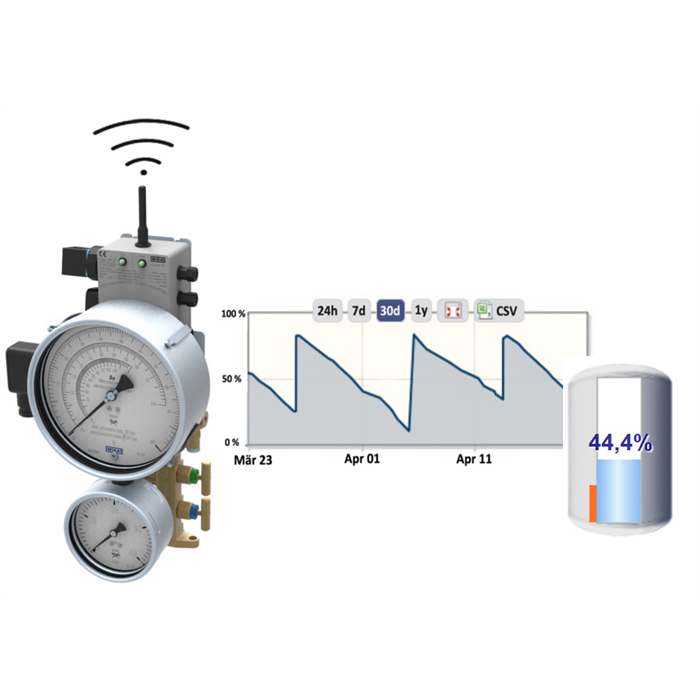 It combines the mechanical and electrical recording of the measured values locally with a decentralised control via the intelliMETRY remote data transfer module. 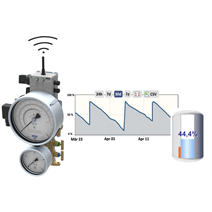 The current measured values of level and working pressure are collected by WIKA's proven mechatronic Cryo Gauge arrangement. Their 4 ... 20 mA output signals deliver the input for the intelliMETRY. The telemetry unit digitises the analogue values and transmits them by SMS or GPRS to an online data centre, daily or hourly, depending on the application. The intelliMETRY is parameterised via the data centre. Users can, among other things, set limit values, alarms and notifications. In addition to these functions, the customer still has an on-site display. Via two cable outputs, the information on level and working pressure can still be used locally. With the option of power supply from a battery module, the complete Cryo Gauge system can be used extremely flexibly.